This thought runs through my mind on a daily basis (a side effect of following National Geographic and similar icons on social media). 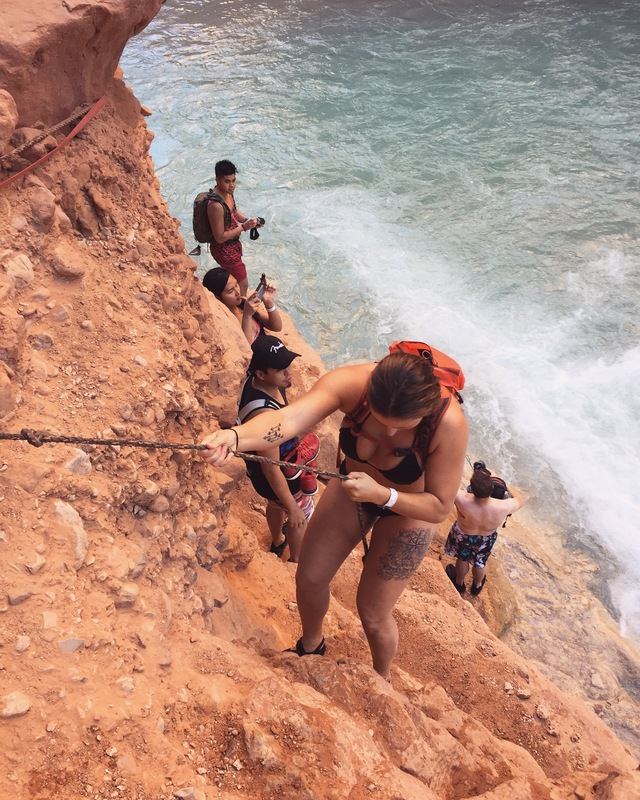 This one time in early 2016 was different though- I saw a picture of a waterfall on Facebook, stunning turquoise waters surrounded by vibrant red cliffs in a canyon somewhere in the world. I had that moment of wishfully thinking I could one day be there in person… followed by a much more important moment of deciding I was going to find a way to make that daydream a reality. In a cartoon, when a character has a breakthrough realization and the lightbulb blinks on over their head- this was my real life lightbulb moment. If I want to go somewhere or do something, why can’t I? Don’t just wish to do things, instead be like Nike and just do it. YEAH! 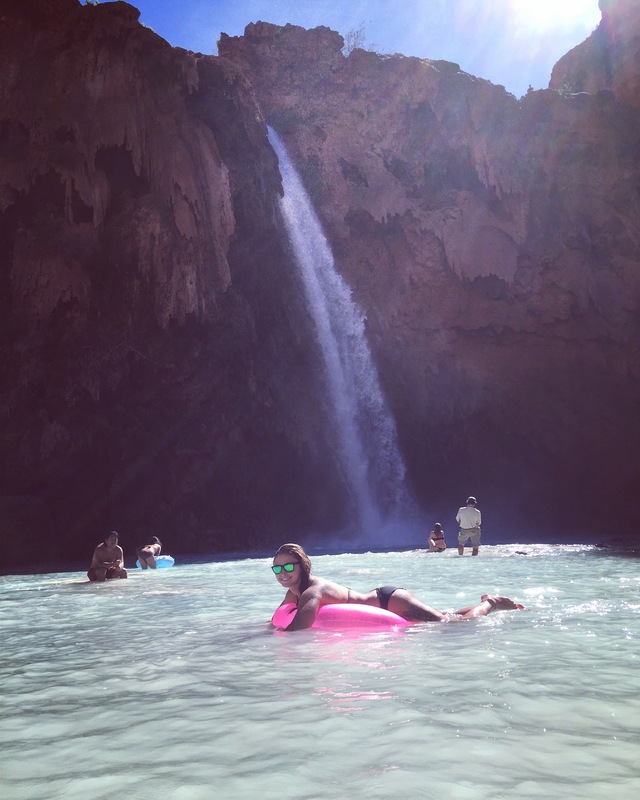 After some research, I was elated to find that this surreal looking place actually existed right here in the United States (Supai, Arizona). I also unfortunately began to realize how difficult it was to obtain the necessary reservations to visit. 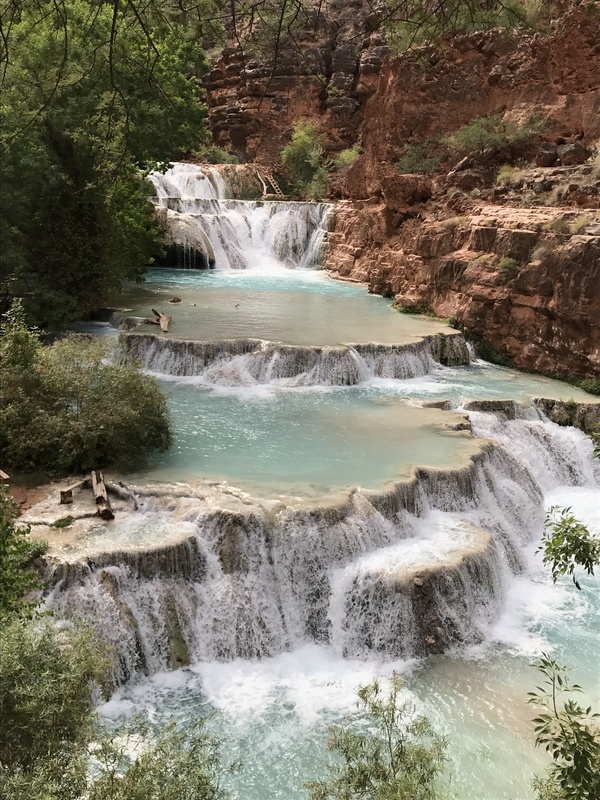 Being on an Indian reservation, permits are absolutely required to hike into the area – and considering people from all over the world want to experience the natural wonders hidden here, those permits aren’t exactly easy to come by. Hundreds of phone calls later, and…nothing. I couldn’t get through the phone lines to save my life. Websites mentioned how you may have to call repeatedly to get through to the tourism office to book your permit dates, but after weeks of redialing the same numbers desperately, I gave up and decided to take a different approach, the seemingly most logical one at the time: I reached out to strangers on Facebook for help. That’s how I met Laura. Laura, my superhero savior that revived my waterfall chasing dreams with an extra permit she had available (due to someone in her original group canceling). This led to me flying to Vegas several months later and waiting outside the airport to be picked up by a van full of strangers- individuals that I had’t even really interacted with on social media, let alone real life. I know, I know, it doesn’t sound like the safest decision, and I’m pretty sure this plan was the reason my supervisor at work stated my picture was undoubtedly going to end up on the side of a milk carton as a missing person case. A giant van pulls up, Laura and a handful of other people jump out and start moving bags around to squeeze me into the vehicle with them…and I hesitate for about 1/16th of a second before jumping in. Excited conversations about our upcoming adventure quickly quieted any reservations or fears going through my mind. Even our somewhat sketchy stay that night at an allegedly haunted bunkhouse couldn’t overshadow the growing anticipation- the next morning we were going to be hiking 10 miles into the very place we had been envisioning for months and months, high hopes and detailed plans and hundreds of screenshots finally becoming our reality. 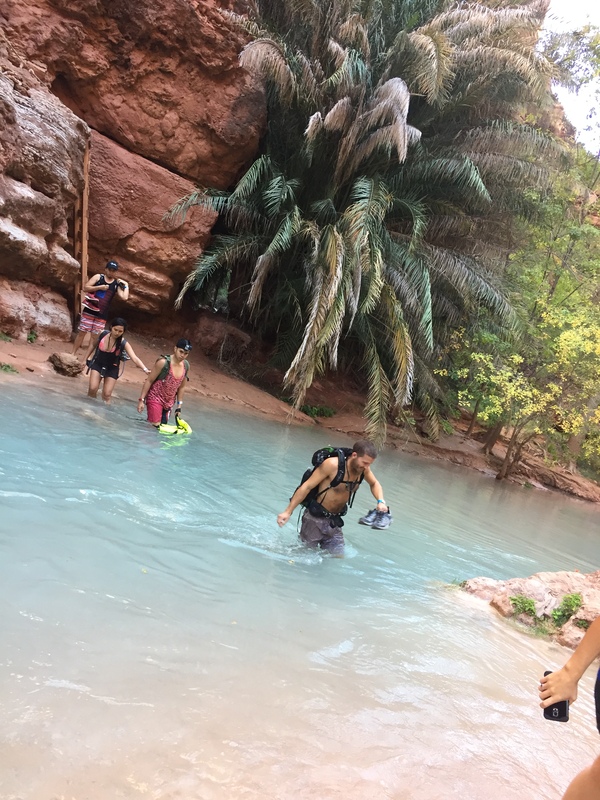 The trip itself exceeded any and all expectations that I had prior. 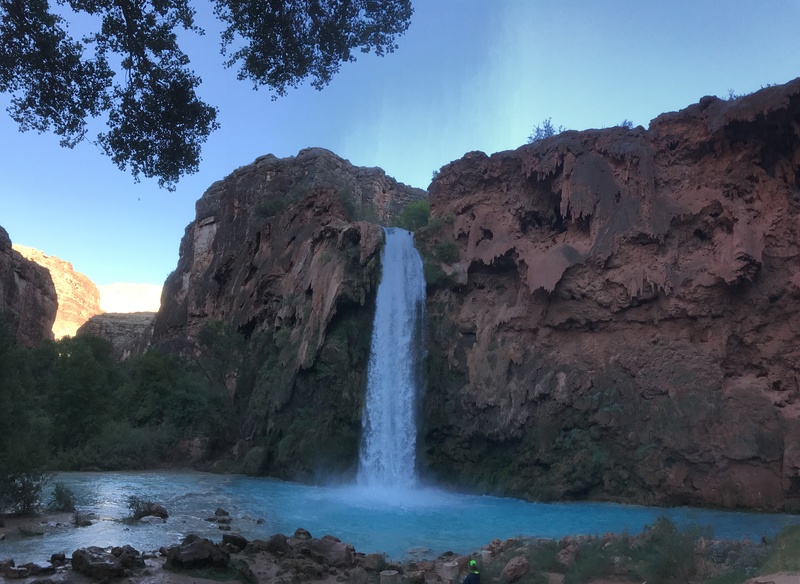 To summarize: beautiful waterfalls, amazing views, surreal aqua blue waters, sleeping in a hammock by the creek that runs through the campground, 40+ miles of hiking, even more waterfalls, and the most amazing sense of being completely separated from the hustle and bustle of everyday life. I will be sharing more details in a separate post, including information on permits and logistics. 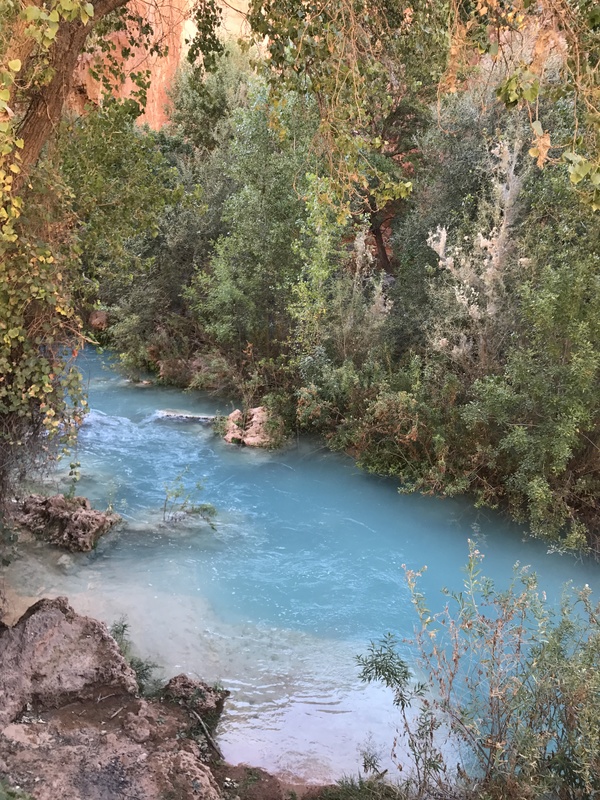 This place is a true gem, an oasis tucked away at the bottom of the Grand Canyon that you would never expect to be there… but it is there, and it is 100% absolutely amazing. If you ever have the opportunity to visit, do so- I promise you won’t regret it!